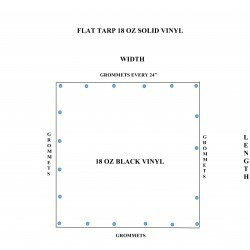 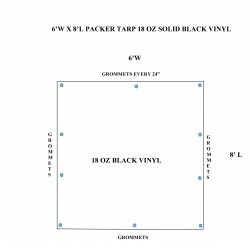 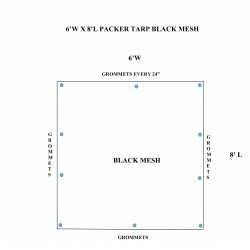 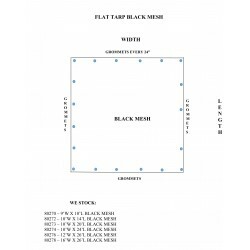 Flat tarp - is a rectangle tarp in mesh or vinyl material with grommets on the hem every 24” on all 4 sides and is used as a hand tarp, thrown up on the trailer and bungee down to the sides to secure the material on small trailers and farm implements when no other tarping system is installed. 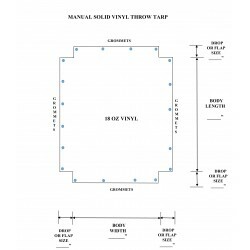 Throw Tarp – is similar to a flat tarp but has flaps attached to the front and rear ends with grommets in the hem every 24” on all 4 sides and is used as a hand tarp, thrown up on the unit and bungee down on all 4 sides to secure the material. 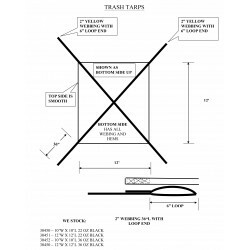 Commonly used on Grain Carts/ Wagons, Combines, small trailers Roll Off Containers when no other tarping system is installed.